BE Citizen, BE Green | Institut pro regionální rozvoj, o.p.s. 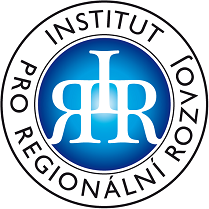 Institut pro regionální rozvoj, o.p.s. is a partner in the next project of the Youth Exchange. This time it is a project called “BE Citizen, BE Green” whose aim is to promote active citizenship and protection of the environment through a system of selective collection and recovery of waste. The project will take place between 12. – 21. June 2015 in Constinesti in Romania. The youth exchange will bring together 45 youth people from 6 countries, for 10 days. Project is realized by the Romanian organisation – Youth Europe Society (YES). Other project partners are: Obciansky spolok from Slovakia, YouNet from Italy, Ifjusag Szolgaltatok országos Szövetsége from Hungary and Symrnes Ogretmen Akademisi from Turkey.